ANDY’S PICK :: EDGAR ALLAN POE’S PREMATURE BURIAL ONE SHOT: Is there anything more frightening than being buried alive? not in my book. 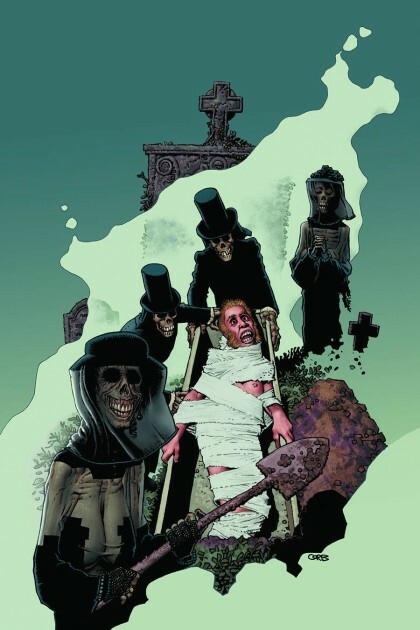 Two of the most terrifying short stories by Edgar Allan Poe—The Cask of Amontillado and The Premature Burial–focus on this awful subject have been adapted by that living (and unburied) legend Richard Corben. These adaptations should prove to be exciting and beautifully rendered. Just look at the Cover! And if anyone asks, when the time comes (and not before!) I demand to be cremated. 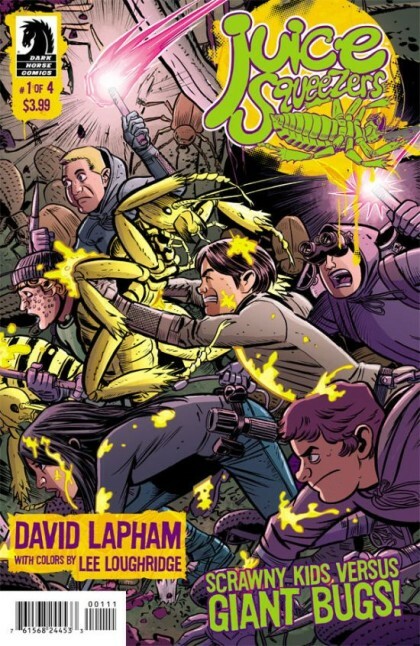 RICO’S PICK :: JUICE SQUEEZERS #1: “Scrawny kids versus giant bugs!” Juice Squeezers is a new 4 issue series by David Lapham and Lee Loughridge. 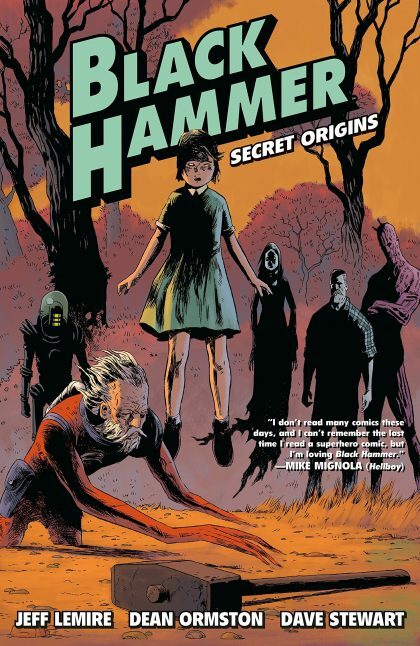 This comic is great for comic readers of all ages interested in deep dark town secrets, great art, appealing characterization and bug-squashing action! 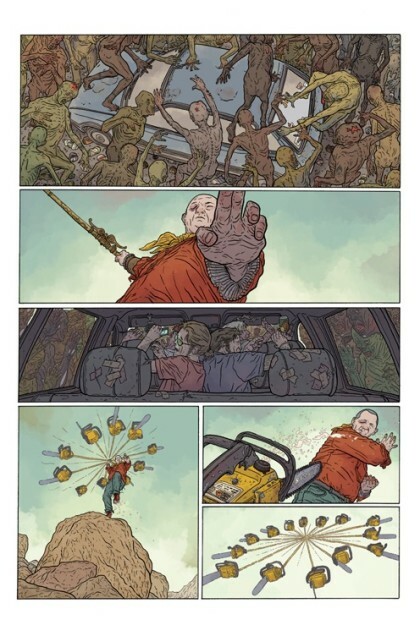 JUSTIN’S PICK :: WORLD WAR 3 ILLUSTRATED #45: I am fascinated by curios. I blame my grandmother, and her dragging me through area Goodwills and the antique shops of Waxhaw on a regular basis. So when a title like “World War 3 Illustrated” crops up in the week’s new offerings, my eyes perk up. The cover only reinforces that curiosity. 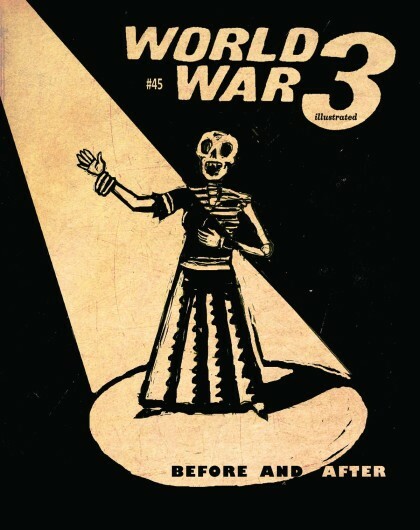 Upon further investigation, WW3I is a sporadically published political anthology, founded by comic book artists Peter Kuper and Seth Tobocman, and painter Christof Kohlhofer. #45’s theme is the afterlife, and the contributor line-up is a cornucopia of names I don’t recognize (with the exception of Mumia Abu-Jamal), but Peter Kuper’s work is always worth a look, and I won’t mind that cover haunting my coffee table for a couple months. 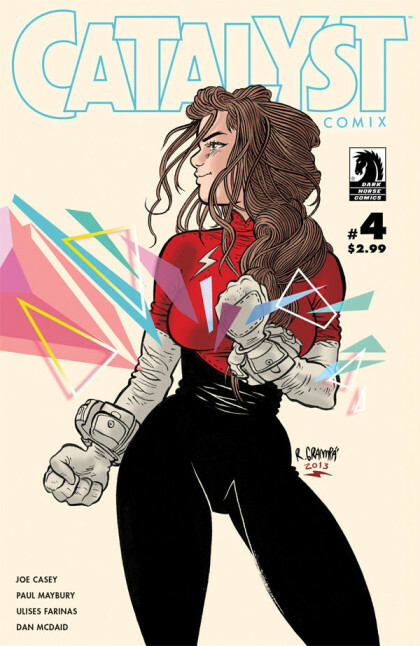 HONORABLE MENTION :: BUZZKILL #4: I’m aware the year isn’t over yet (at least not in practice; mentally, that’s another story), but I’m calling Buzzkill superhero book of the year. 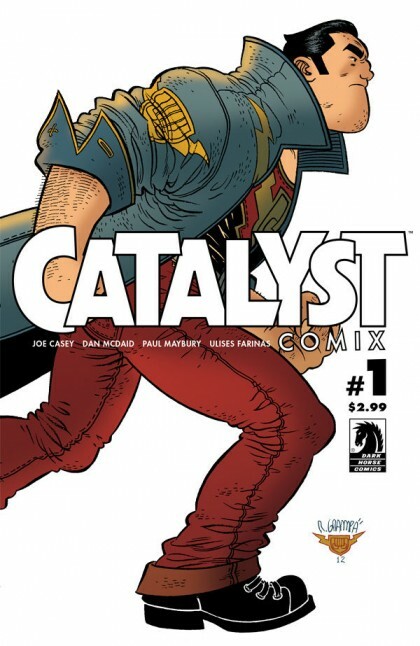 And it rounds out 2013 nicely with its fourth and final issue this month. The creative team fires with a perfect synergy, and the “high concept” doesn’t interfere with the characterization, or dictate the plot. 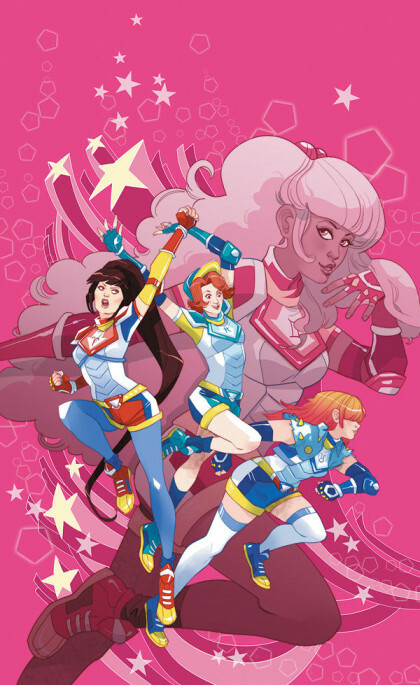 It’s smart, it’s clever, it’s the kind of thing superhero comics need to do more of: short form, dazzling entertainment. Yes, dazzling. There. I said it. 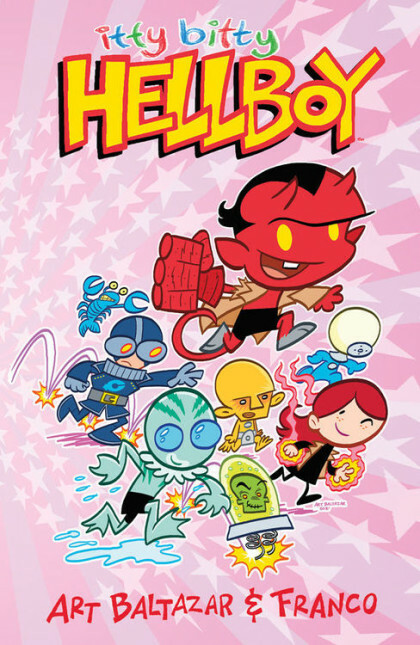 HEATHER’S PICK :: ITTY BITTY HELLBOY #1: Do you know what I miss? Tiny Titans, especially the bat penguins and rabbits. Luckily for me, I can fill that adorable gap in my comic reading this week with a tiny little Hellboy and friends. At first, I wasn’t totally sold on this idea. 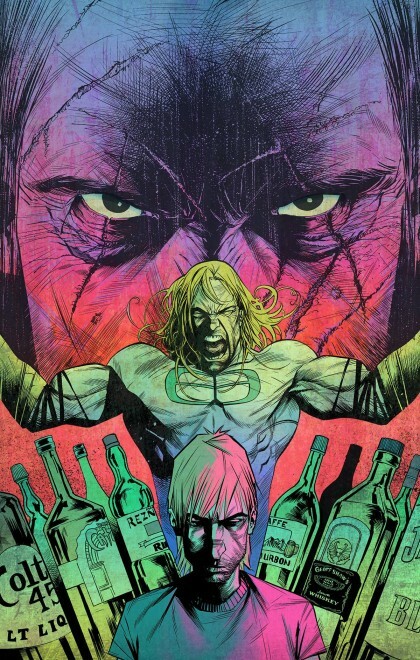 I mean, I love Hellboy, Jr. and the young Hellboy stories, but I like the grittiness in those tales rather than having a cutesy kid friendly-vibe. But ultimately, Art and Franco won me over, mostly thanks to the addition of the animal sidekicks. Who doesn’t love a purple monkey? 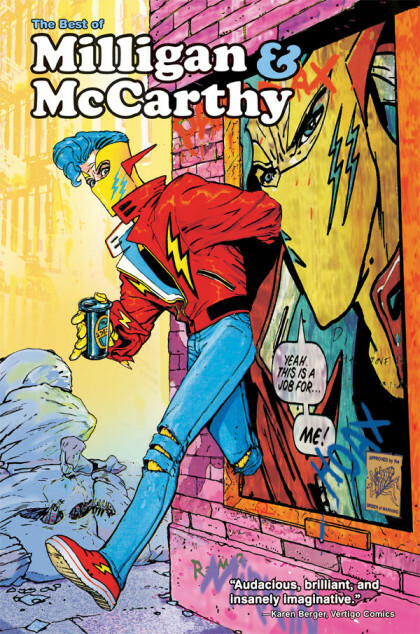 Plus, any book that brings Roger back will make my pull list.